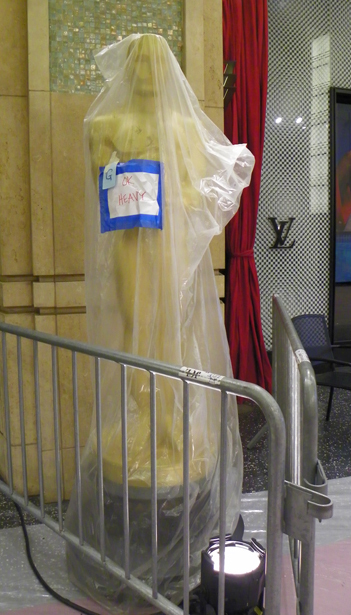 I am in Hollyood for the Red Carpet Bleachers again this year. Tomorrow check out out 1000 Words blog and my @KodakCB twitter stream for live coverage! Meanwhile we wandered around Hollywood and Highland for a bit. 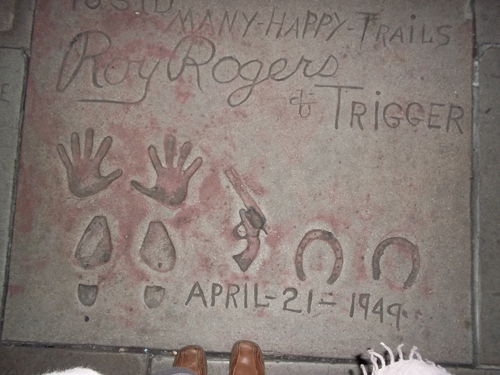 I love that Trigger left his mark. Hah hah. 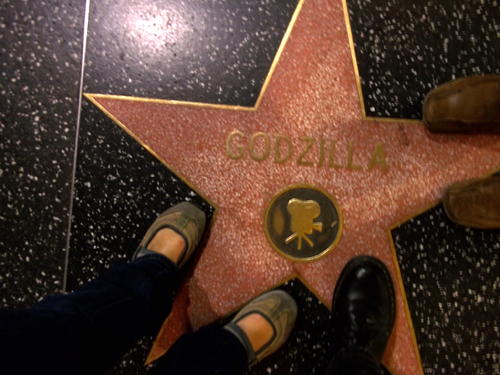 Godzilla got a star on the walk of fame! Were you wearing a red scarf? I thought I saw you taking a picture of Clooney when he was leaning up in front of a fence to sign autographs.